Maybe you've noticed, but we're major suckers for beauty subscription services. A small monthly fee for a surprise assortment of products delivered right to our eager hands? What's not to like? 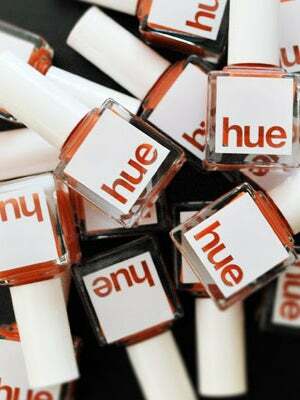 So, obviously, we were beyond excited to learn about SquareHue — a nail polish subscription with truly gorgeous colors. They had us at "nail polish," though it's so much more than that. First of all, we like their reasoning as to why this is a necessary thing: "Avoid the product display death stare. Picking from 80 billion colors at the store could damage your sense of style." How many hours of our lives have we wasted staring at nail polish rows at Walgreens? No one knows. But, more importantly: SquareHue donates a portion of the subscription fee directly to charity. This month's focus is on human trafficking, with donations going towards prevention, awareness, victim protection, and more. We want to support that cause anyway, and let's be honest: We're going to be spending that money on nail polish one way or another. Might as well hit two birds with one prettily polished stone.